Abstract: Rich Christianson writes industry profiles and news for the WCA's quarterly eNewsletter. 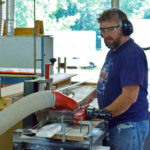 This edition of Pathways includes articles on the SkillsUSA cabinetmaking competition and an interview with veteran architectural woodworker Kent Gilchrist on workforce development for the woodworking industry. Read Summer Pathways. Abstract: One of the most storied examples of a P.J. Currier-Williams & Hussey collaboration involved replicating a pair of multi-profile pilaster bases for the grand portico of the historic Bedford Presbyterian Church in Bedford, NH. Read the story. 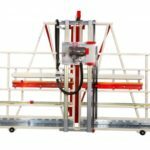 Abstract: Safety Speed Manufacturing has rolled out a certified technician program beginning with its vertical panel saw line. The first graduates - representatives of DOC Maintenance and Compact Power Services - successfully completed the two-day certified training program in November. Read the Blog. Abstract: From July 2015 to August 2017, Rich Christianson served as Legislative Liaison for the WMMA's Public Policy Committee. In addition to monitoring key public policy issues, Rich served as editor of the monthly Washington Report. This issue includes a preview of the 2016 presidential election when Hilary Clinton was still expected to be crowned the nation's first woman president. Read the newsletter. 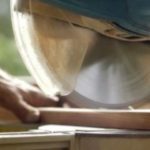 Abstract: The head of the Composite Panel Association (CPA) gave a thumb’s up to the prepublication release of the U.S. Environmental Protection Agency’s long-awaited Formaldehyde Emissions Standards for Composite Wood Products. Also in this issue, NAM's election road map and Super Thin Saws hosts Rep. Peter Welch. Read the newsletter. Abstract: This lead story from the WMMA's monthly Washington Report chronicled the largest and most extraordinary furniture recall in North American history by IKEA. 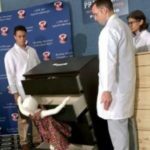 The reported deaths of three children in tip-over incidents prompted the voluntary recall of 29 million chests and dressers by the retail giant. Read the article. 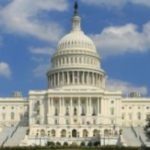 Abstract: This edition of the WMMA's monthly Washington Report featured an update on the Occupational Safety and Health Administration's new standard aimed at curbing workplace amputation incidents. Read the article and newsletter. 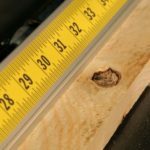 Abstract: In the hands of a skilled craftsman, a properly calibrated tape measure will help yield the 1/64th inch (0.015 inch) tolerances desired to produce high-quality cabinetry. 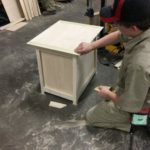 The parts will be square, the joints will be snug, and the reveals will provide clearance for doors and drawers to open and close without an excessive, unsightly gap. But what good is it to measure twice if the tape measure’s user doesn’t know how to get a correct reading? What if two colleagues collaborating on a project take different measurements? And what if the tape measure itself is old, bent, and out of whack? Read the story. Note: As of January 2019, this article continued to hold the title of "Most Popular" blog on TigerStop's website. Title: Catch Safety Speed Live! Abstract: Safety Speed Manufacturing officially kicks off its 2016 events season Thursday, February 18 at the Graphic Americas Show in Miami Beach, FL. 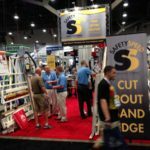 The 2016 Safety Speed tour will include at least a half dozen other sign making and woodworking related trade show and convention engagements including a pair of events in Mexico and participation in the International Woodworking Fair in August. Read the blog. 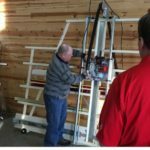 Abstract: Safety Speed Manufacturing of Ham Lake, MN, offers practical and productivity enhancing solutions to facilitate shop saw safety for sizing panels via its extensive line of vertical panel saws. Read the blog. Abstract: Rome wasn't built in a day and neither was safetyspeed.com, the newly relaunched, ultra-user friendly and completely revamped website of Safety Speed Manufacturing. Read the blog. 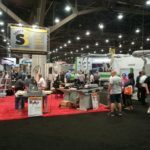 Abstract: Even as the sawdust still settles on the four-day event held July 22-25 at the Las Vegas Convention Center, Safety Speed Manufacturing continues to rack up sales from leads it amassed at its booth. This is on top of several machines that Safety Speed personnel hung "SOLD" signs on before the show ended. Read the blog. Title: Abstract: Wide-spread industry recognition and bragging rights await the winners of the 2015 PureBond Quality Awards presented by Columbia Forest Products. In case that’s not enough, the top three winners of each of the contest’s four entry categories also will receive cash prizes. Read the story.